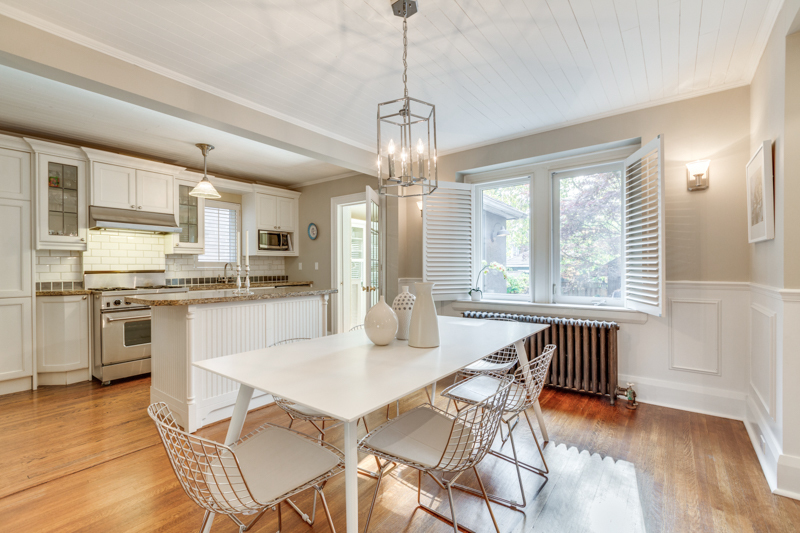 Home Staging: Can Modern and Traditional Work Together? Whether for staging or design, many designer stick with one style only. If the theme is Mid-Century, then everything is Mid-Century. If the house is Transitional, then it follows that the furnishings should be the same. We disagree! Pro Tip: you can achieve great design, by intermixing different styles! 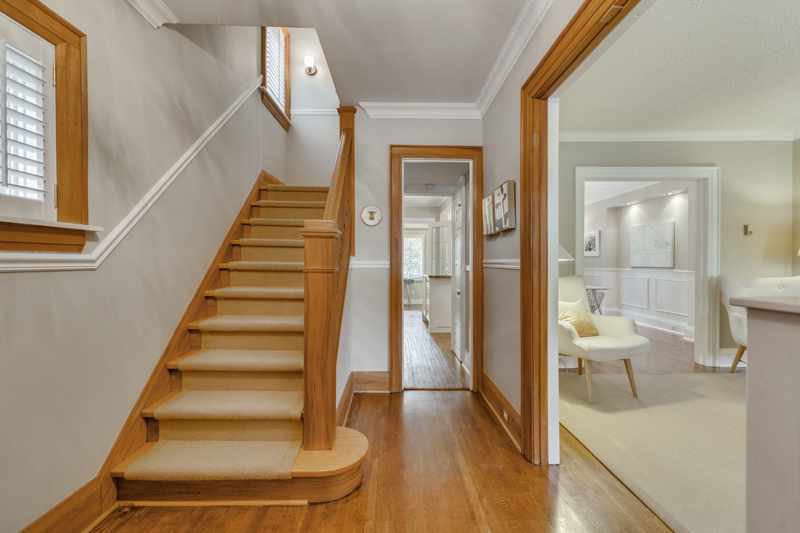 When realtor Kori Marin called us for a Lawrence Park home staging, she knew what she wanted: a blend of old and new, traditional and modern. And she knew we could do it. It was a beautiful home, brimming with possibility. In the living room, we placed a couch with modern lines, in a neutral linen colour. The wing back chairs were mid-century inspired, in a timeless linen weave as well. Neutral accessories peppered throughout, and the livingroom was stunning. 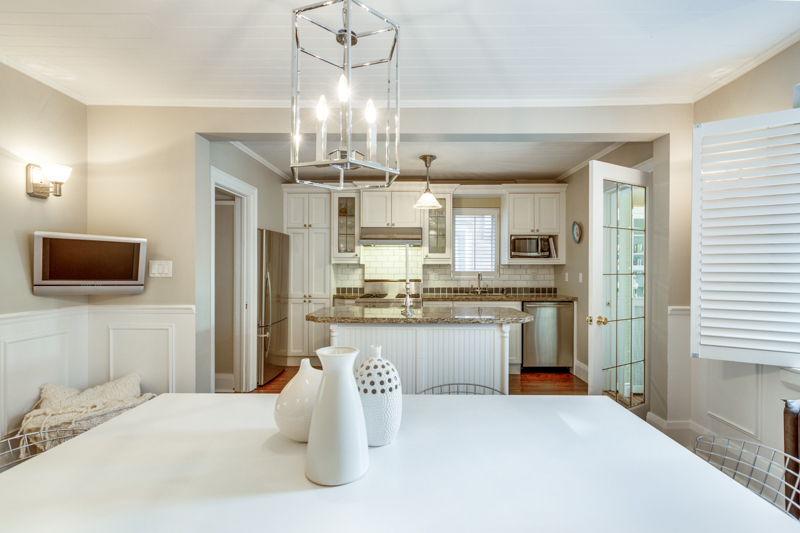 The kitchen in this lovely Lawrence Park home was very traditional, with shaker cabinetry and granite counters. We added in a mid century inspired strut leg table in a crisp white , and Bertoia dining chairs, with white pads. We kept the art neutral as well. Textured vase groupings brought warmth and interest to the space. For more ideas on what style is right for your home, connect with one of our talented designers today.